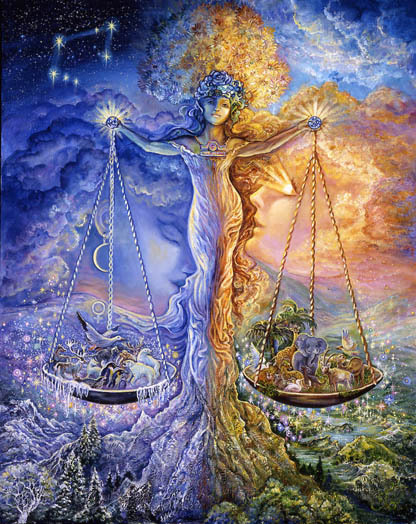 On Friday Mercury enters the sign of Libra. 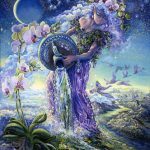 Extended by a retrograde phase, Mercury has been transiting through the hypercritical, detail-oriented sign of Virgo for nine weeks. The last few days end a period of difficult mental work – communicating, writing, editing, networking, organizing complicated projects, putting systems in place to increase efficiency, and maybe intelligently addressing health concerns. This week your focus changes. The hard part of something is over. Your homework is done. Feeling appreciated and freer and more confident of your ability to speak the truth while adding to the conversation seems is likely. Space may open up within relationships. Information may flow. Signs of healing and progress may become evident. But things are complicated within the realm of relationships. There appears to be a lot at stake. You may vacillate between cultivating your inner suspicions and being forthright. A degree of finesse and charm seems advantageous. Harmony seems within reach. You may need to win this game. And you may be dealing with sharp opponents or those who can go toe-to-toe with you. 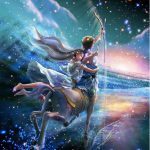 Saturn in Sagittarius continues to place you in a pivotal spot. Will you move forward in adventurous ways, or slide back into what’s familiar? That seems to be the question. A restless uncertainty combined with fear makes decisiveness difficult. Refusing to decide is a decision. It is likely that relationships have or will move onto new footing. A challenge in the direction of fragmentation and chaos seems to be hanging in the atmosphere. Measured words, involvement in strategies full of love, kindness, generosity, and beauty, soothes fears and connect us to who we actually are. 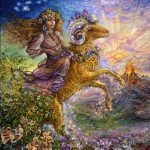 Aries is being challenged to find the belief in themselves (and those they love) to allow their life to proceed in a way that is easier. A belief that life is hard and that burdening yourself with heavy responsibilities, guilt, and self-sacrifice is an indication that you’re on the right track is actually deceiving. Your instincts may be telling you that there is an easier way and you may be somewhat be resistant. If that is the case this is the week to turn it around – or to at least take some initial steps. 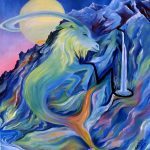 Your capacity to be internally guided by information provided from ancestors, guides, and other mysterious sources, gives you an advantage you may not be using to its full benefit. Now you can experiment, taking some chances as you rely on a hunch or a feeling. A magician is waving his magic wand over you encouraging you to let go of the need to control it all. Your future looks way more interesting if you listen to that small voice within. You have nothing left to prove regarding your ability to shoulder heaviness and sadness. There is a new challenge that involves your ability to tolerate ease and consistent joy. 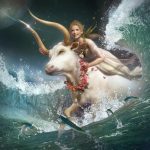 Taurus may be facing some weighty decisions that have been postponed for a long while. Those most likely have to do with the fact that relationships need to evolve – the relationship you have with yourself and the relationship you have with another. You may be harboring a blind spot containing information you resist seeing. 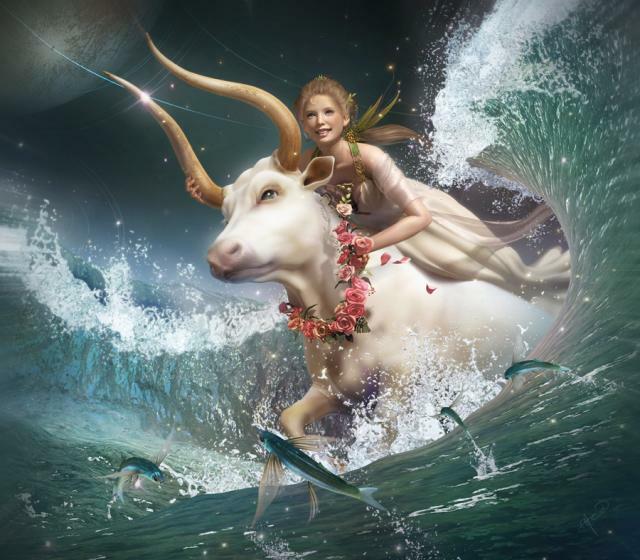 Essentially you know deep within what needs to be done, but its hard and Taurus prefers easy. This is the perfect week though, to take a look at what you don’t want to see. Others may see you more clearly than you see yourself. Maybe you avoid them. This week set up a time to meet with them, ask the pertinent questions, listen, then take the action that’s been postponed for so long. 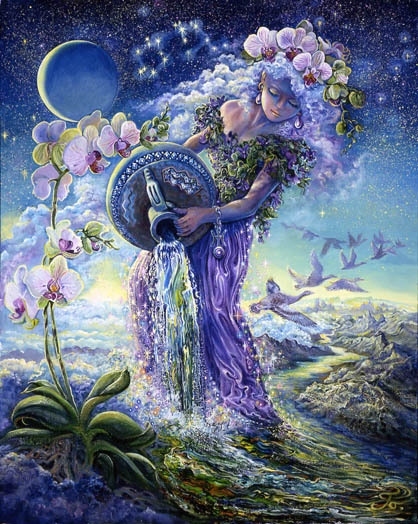 It will release an abundance of joy – maybe not immediately, but very steadily over time. 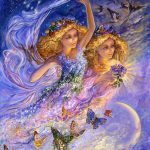 Gemini is about to change focus with the transit of Mercury, after nine long weeks in Virgo (nine weeks is a long time for a Gemini) into the sign of Libra. 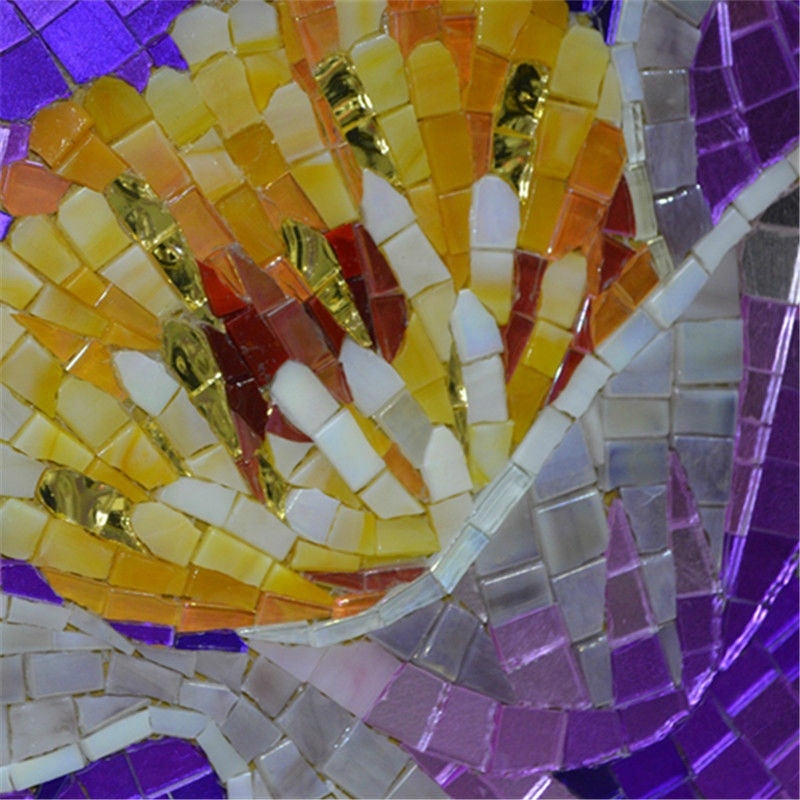 Preparation, increased efficiency, and an emerging culmination, brings new life and love into the creative sector of your life. 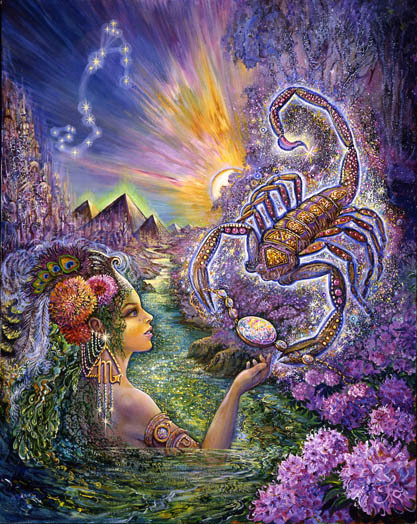 You may feel the need to use your creativity or to express your love in a new way. A love affair may begin. The birth of a new creative project may be especially well supported at this time. You may be itching for a new creative challenge or some fresh spark to ignite what has become stale. What you’ve considered and reconsidered over the past nine weeks places you in a good position to launch something new. Don’t underestimate how well prepared and competent you actually are to breathe new life into your own life. 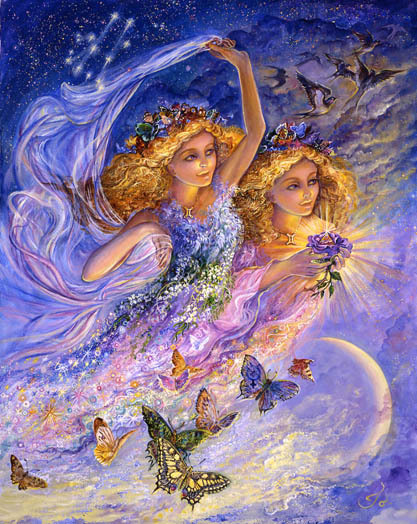 A new direction and a new love could bring you an abundance of joy in the short term and for may years to come. What you have learned over the past nine weeks about how you perceive your future possibilities is about to become more profound. You may have a future mapped out that doesn’t take surprising turns, fortunate detours, and unexpected windfalls into consideration. 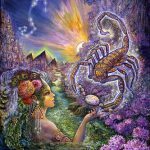 Sometimes Cancers prefers the predictable but somewhat dissatisfying past to a future full of wide-open possibilities – particularly within the realm of relationships. But your mind has evolved. This week it’s possible that you will recognize the opportunities you’re given to expand your repertoire within the realm of love and relationships. But you’re at a crossroads. Will you go forward or back? You may be afraid to release old methods. You may be afraid to release a level of control within relationships that threatens to blow up your basic mode of operation in a growth oriented way. A decision may be required. This is a pivotal time when perfectionism collides with flexibility. A more interesting and magically infused-future requires occasional acquiescence. Leo may be in the process of rising to a challenge that can feel fraught with land mines, power plays, and maybe some risk. You may have been forced out of the shadows or pushed and into a higher level of play by a threat to your home, family, the past, and your entire emotional framework. But you can make this a game. It’s a game you’ll win – but maybe not in the ways you anticipated. This week looks like an looks like an opportunity to build confidence and a powerful belief in yourself – addressing some long standing personal fears, old trauma, and karma that has kept you limited in ways you no longer need. What you face may feel like dark, powerful sources that you expect will undermine you – because they have in the past. But this time you may stand up and fight, essentially transforming yourself through a re-enactment of past circumstance in present time. As you find your voice and courageously reveal who you are, you’re set free. This week it may not be necessary to make things harder than they need to be. By Friday you may notice that it’s time to refine your methods by relaxing into what needs to be done. Putting in more effort than is required is the mark of someone inefficient and unskilled. Most likely that’s not you. There is an art to enjoying the fruits of your labor. This week it may be time to drink in the the joy that comes from a hard-won success – to share the credit, to accept the appreciation, and to bask in the glow of a job well done. Grace and generosity is what defines you this week even if the support you had counted on isn’t there. If you’re involved in conflict, be a shark (as defined in Capricorn’s horoscope this week). But do not let anything get in the way of fully experiencing the joy and beauty surrounding you. You enhance your surroundings as your presentation of yourself remains exceptionally well aligned, highly refined, and supremely self-assured. Decisiveness is a by product of knowing what you most desire. What you want is the key that allows you to arrange your priorities in ways that actually feel right and make your life satisfying. This week Mars moves into a tighter alignment with Pluto in your 4th house of foundational stability and the past. It is likely that you will come to terms with what it is you desire. 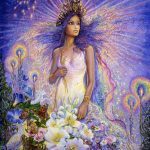 You may need to uproot some old structures that were products of past distorted perceptions, insecurities, or powerful family influences that overwhelmed your natural instincts about what it was you really wanted. Your inner voice may be speaking a little louder, giving you hints of some new direction that will become clear in a couple days. As Mercury moves over your ascendent it’s time to think about your life and your responsibilities in terms of what you most desire. Saturn challenges you to break free of old thought patterns and to be truthful no matter how inconvenient that may be. 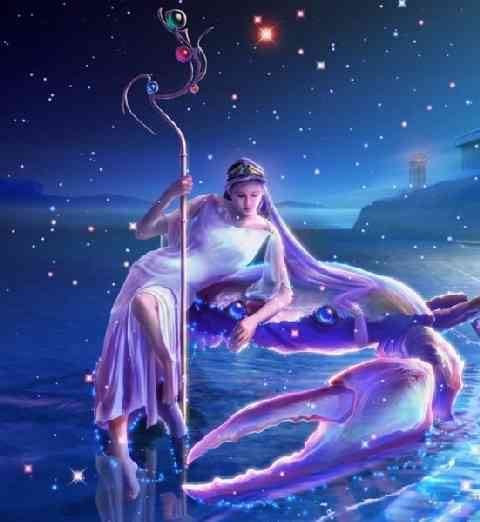 Mercury enters your 12th house on Friday. 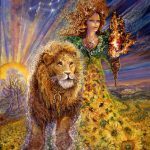 The 12th house is the house of healing magic that relies on love, acceptance, and a deep connection with all that is – including your physical body. There is nothing this week more powerful than a kinder, more compassionate and supportive attitude toward yourself – especially if you’re angry that you’re not the perfect functioning specimen you had hoped to be. 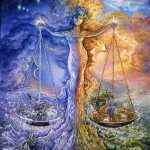 Conflict, fighting, and adversarial relationships with yourself – forcing your will on the world, yourself, and your physical body may not work as well as loving attention, understanding, and compassion could. Maybe you need to not rush the results you want. Maybe you need to think in terms of bringing what’s imperfect about you back into the fold anyway – loving it back to a state of health or significant improvement. If your approach to yourself and to life itself softens this week you’re on the right track to benefit in ways that are profound and immeasurable. It is likely that you will succeed in a big way this week. Dreams, hopes, and wishes from the past that you may have put on hold for a long time may be coming together. 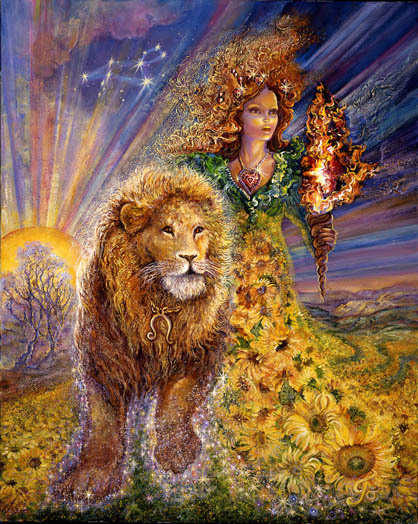 Love may arrive or continue to deepen, and your creative expression may be especially powerful. There is some hesitation to close the deal though, the source of which is vague and uncertain. Could it be that you were once expected or forced to put your dreams on hold and that a self-sacrificing way of being is deeply ingrained? Could it be that you’ve built your life on a foundation of expecting to be undermined especially when you come very close to grabbing the brass ring? 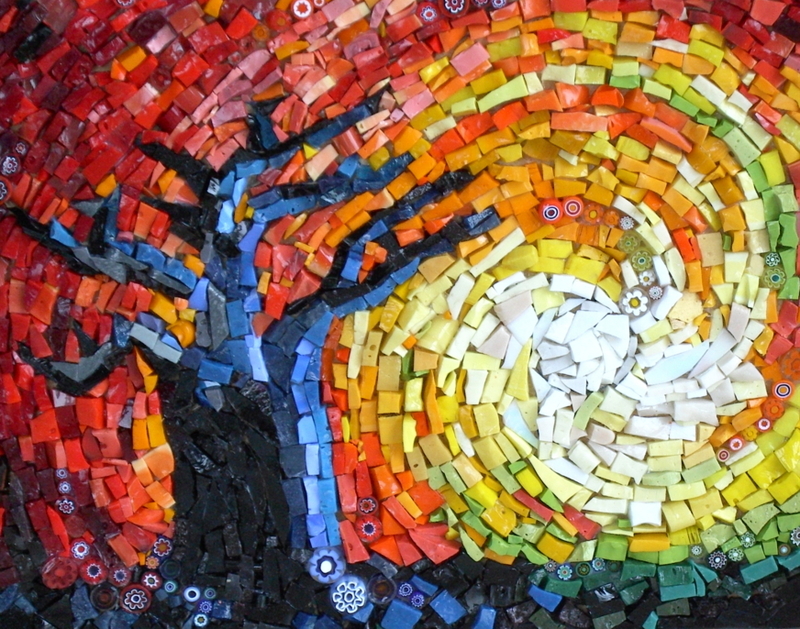 Now may be the time to let go of that past or to redefine it in a way that promotes more joy. This week it’s time to get out of your own way. You’ve done the work. Now it’s time to allow yourself to reap the rewards and to succeed in a big way. 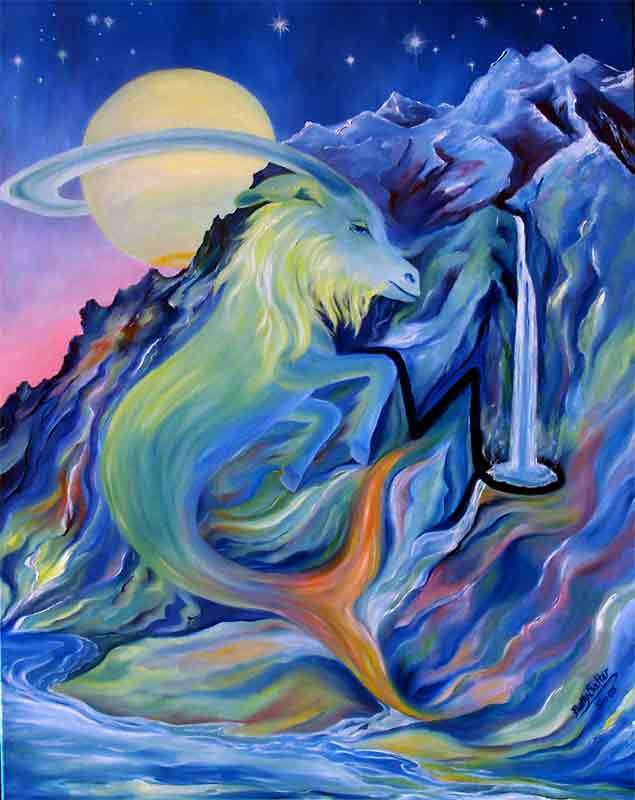 Capricorn may be involved in a fight to preserve something from the past that now feels threatened. It’s a fight worth having – something you can’t not do – but your old tactics may need some refinement. It’s possible to move through this situation with the stealth and grace of a hungry shark, swimming through the darkness, knowing it’s only a matter of time, patience, focus, and the ability to recognize and seize opportunity, that he’ll get what he wants. A shark exhibits no sign of desperation or stress. He doesn’t put in any more effort than is required. He’s acutely attuned to fear and uses it to his advantage. But he doesn’t exhibit and may not feel it himself – especially when he’s on a mission. It’s my advice for you to take on shark-like characteristics as you engage in a mission to preserve something of great value. 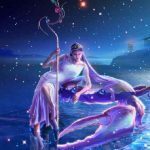 Aquarius may be in the process of working to fulfill a dream related to love, foreign relations and connections, and the unraveling of something complicated that has been a hidden source of sadness and restriction in love. Success is complicated for you, because the pursuit of it sets you off on a transformational journey that emotionally turns you inside out. This week, though, you receive important information that guides you in the right direction. 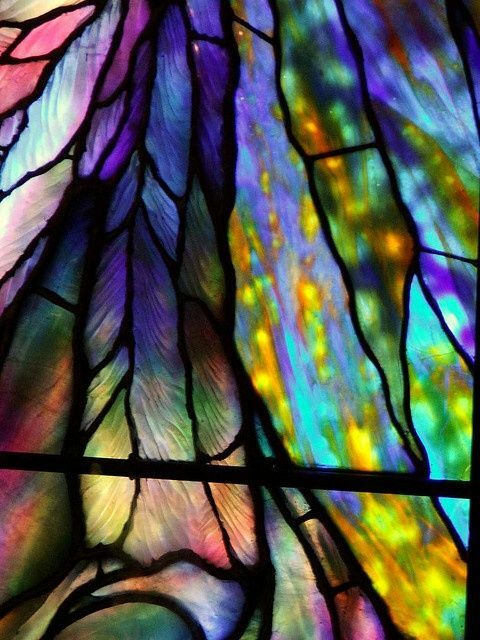 That may come in the form of a dream, a sudden revelation, or guided message that clarifies your life path. You may begin to pull together previously disjointed past experiences realizing that they all revolve around a central theme that embodies your mission. It may be very different from what you thought was your main mission. As a result your sense of self worth may be enhanced and you may feel very empowered. 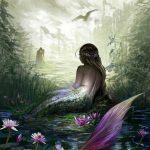 Pisces may have done the work required to reconnect with the best parts of what they have inherited. Maybe you’re about to be reconnected with something incredibly rich and deeply sourced that will make your life more meaningful. There is a touch of magic infusing what’s unfolding. 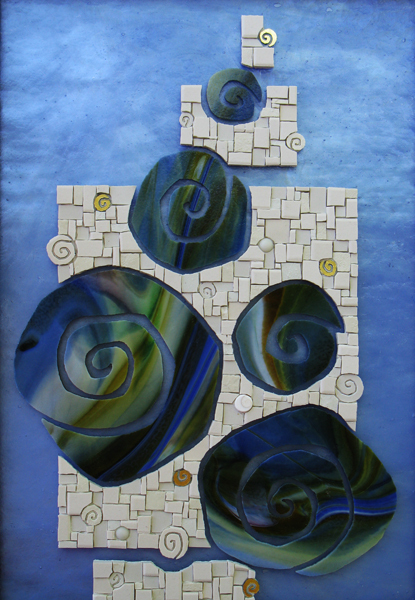 The process feels mysterious even though there was a level of preparation that felt practical and methodical. There is tremendous power added to what you are able to attract and the deeper levels you can now access. Enjoyment and healing within the sexual realm is likely. Toxic fear seems to be dissolving. Success is imminent. Whenever the 8th house is highlighted, as it is in your solar chart, complications can overwhelm. The wisdom for this week is to keep your eye on the ball and to tie up loose ends that remain between you and another. Honesty works better than subterfuge. Be forthright and open and you’ll witness a mysterious power effortlessly anchoring you to something timeless.